New analysis on the top 10 cryptocurrencies by market cap and beyond predicts some incredibly wild sings over the next 10 years. The ICO advisory firm Satis finds that Monero will gain the most, with a whopping jump of more than 39,000%. The next biggest gainer among the top 10 coins by market cap is Bitcoin, with more than a 1,900% gain. Dash comes in third on the list, gaining more than 1,400% over the next 10 years. As for the coins that will lose the most in the new forecast, XRP and Cardano (ADA) are expected to fall hard, both losing 99% of their value over the next 10 years. Stellar (XLM) is projected to lose 90% of its value over the next decade, according to Satis. The report highlights the upside for coins that are specifically designed to be currencies. Ethereum, which is not designed to replace money but is used to facilitate transactions through smart contracts, is projected to lose a significant amount of market share along with its first-mover advantage. Privacy coins will have huge upside if regulators ramp up efforts to crack down on crypto, according to the analysis. 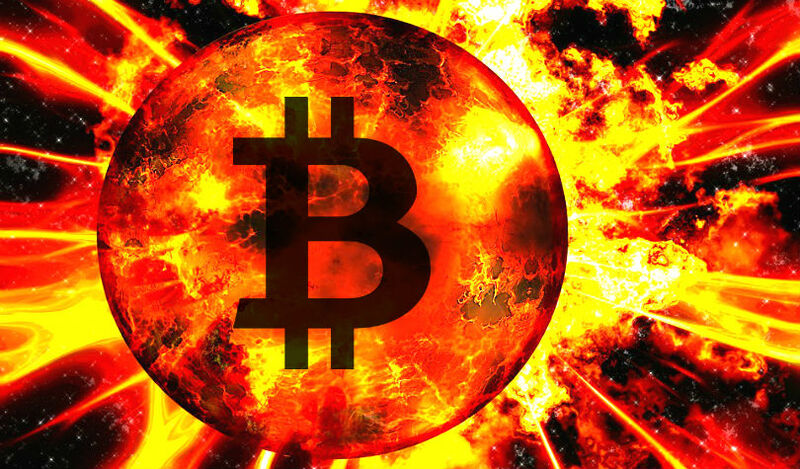 Looking beyond the top 10, the report also predicts the absolute extinction of a number of cryptocurrencies, including AION, ICON (ICX), Cardano (ADA) and Augur (REP). Several big coins are missing from the list, including Tron, IOTA and Qtum. The report notes the highly speculative and risky nature of investing in cryptocurrency, and is careful to point out the difficulty in accurately predicting the future price of any given coin. “We note that the cryptoasset markets are heavily skewed, driven by speculation. 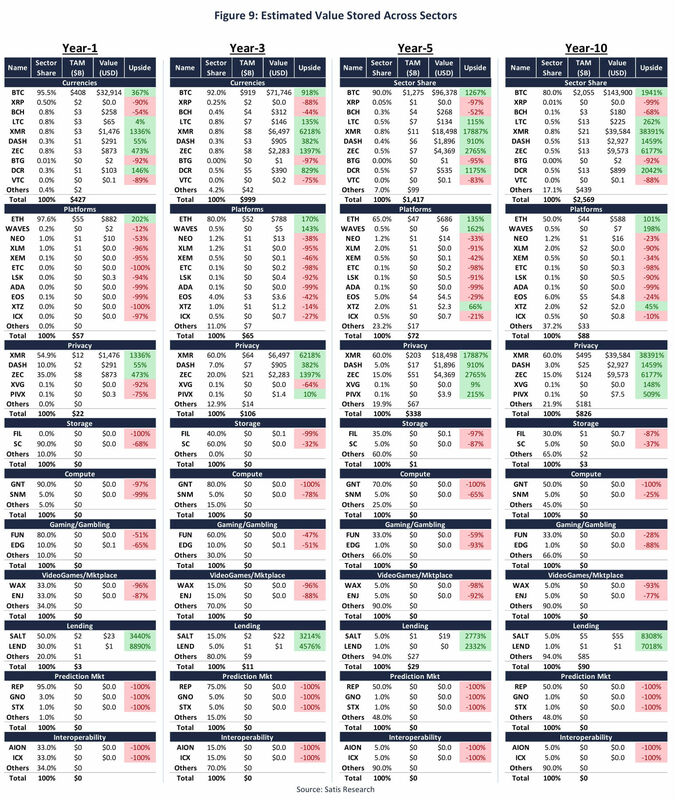 This research is intended to show fundamental valuation of the assets under various scenarios and models, however the values above do not reflect timed and targeted prices.